Be sure to visit the Colleges/Universities page for important information. You must first request a username and password. Click this link to create your account. We will send your login information via email as soon as possible. 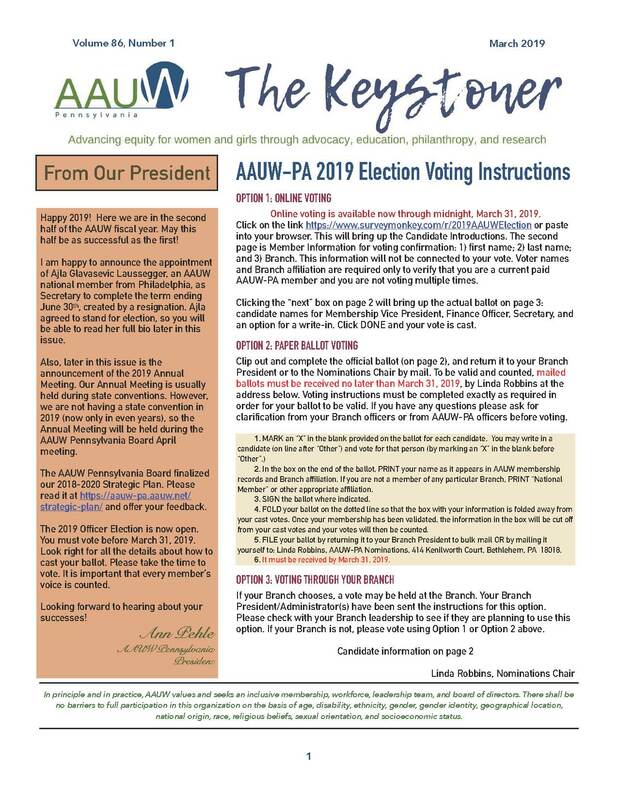 After you receive this information, scroll to the bottom of AAUW Pennsylvania’s website and click the teal text that says Log In. Click the Posts tab on the left side of your screen. Fill in the blanks for your post’s title and content. Select the “Pennsylvania Students” Category on the right side of your screen. When you are ready, click the blue Publish button on the right side of your screen. Click “comments” at the end of any post. Enter your name or a nickname. Please leave the email address field blank to keep our system from holding your comment for moderation. Type your comment in the designated box. Scroll to the bottom of the page and select the appropriate images to complete our anti-spam challenge. You’ll do this by hovering over an image and clicking on it if the photo shows a cat. This prevents our blog from receiving automated spam comments. This entry was posted in Pennsylvania Students Blog on October 3, 2012 by srsupport3.